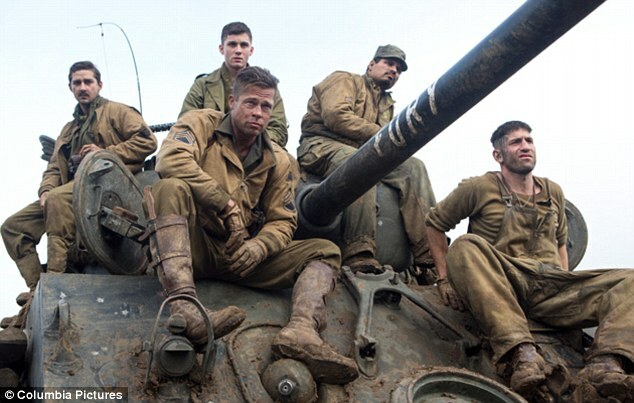 The FBI has alerted businesses to destructive cyber attacks, after Sony Pictures was hacked last week allowing Brad Pitt's film Fury to be illegally downloaded 1.5 million times. Four unreleased films have also been made available on the internet since the attack on Monday, including a remake of 1982 musical Annie and Mr Turner, a biopic about the eccentric British painter. A group calling themselves Guardians of Peace froze Sony Pictures' computer systems worldwide, posting a message that warned it would release 'top secrets' unless its 'request be met'. 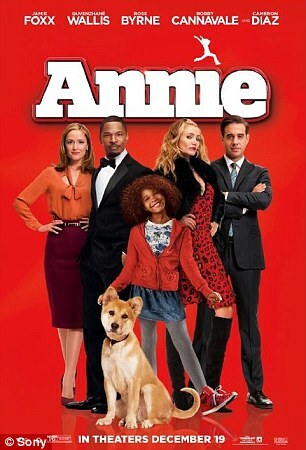 By last night, the hotly anticipated Annie, starring Cameron Diaz and Jamie Foxx, had been illegally download 220,000 times, according to Excipio, an IT forensics firm that tracks breaches of copyright. Mr Turner had been downloaded 74,000 times, Still Alice - a drama, starring Julianne Moore, about a psychologist who is found to have Alzheimer's disease - was downloaded 118,00 times and To Write Love on Her Arms had been downloaded 24,000 time. Second World War drama Fury, starring Pitt alongside Shia LaBeouf, is currently showing at cinemas but it has not yet been released on DVD. It was the fifth most downloaded on the popular BitTorrent file-sharing platform last week, according to TorrentFreak news website, and the tenth most popular film on the Pirate Bay file-sharing website. According to website Re/code, Sony and security consultants were investigating the possibility that someone acting on behalf of North Korea, possibly from China, was responsible for the hacking attack. 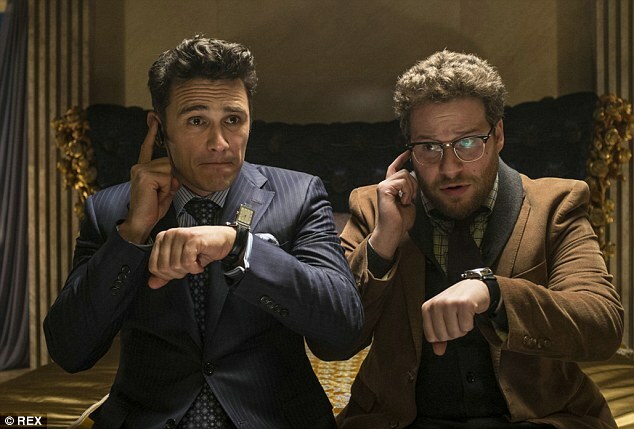 The hack came just under a month before Sony Pictures was due to release The Interview, which is a comedy about two journalists, played by Seth Rogen and James Franco, who are recruited by the CIA to assassinate North Korean leader Kim Jong Un. The Pyongyang government denounced the film as 'undisguised sponsoring of terrorism, as well as an act of war' in a letter to U.N. Secretary-General Ban Ki-moon in June. Re/code said a link to North Korea had not been confirmed but it had not been ruled out. 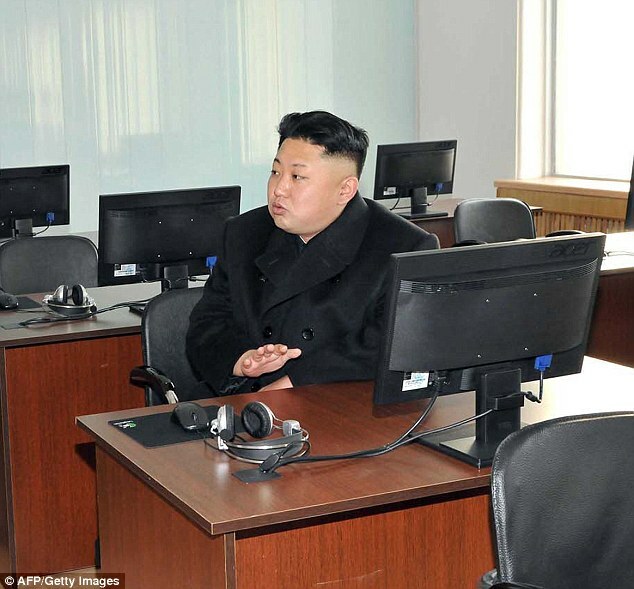 But North Korea has refused to deny involvement in a cyber attack. 'I personally don't care if (the movie's) disrespectful to Kim because he's evil. But that's not the intent,' Rogen posted on Twitter on Sunday. The FBI's five-page, confidential 'flash' warning issued to businesses late on Monday provided some technical details about the malicious software that was used in the attack, though it did not name the victim. The FBI occasionally issues 'flash' warnings to provide businesses with details about emerging cyber threats to help them defend against new types of attacks. It does not name the victims of those attacks in those reports. The FBI did, however, confirm to the Associated Press that they are investigating an attack - though not specifically the type outlined in the flash warning - that was made on Sony and caused major internal computer problems at its film studio last week. Sony's corporate email and other internal systems were knocked offline, according to reports by Variety and other trade publications. Sony workers reportedly saw a message appear on their computer screens that said 'Hacked by (hash)GOP,' which may be the initials of a group calling itself Guardians of Peace. No demands have been issued by the hackers but a Reddit thread outlined the data allegedly mined by the Guardians of Peace. This includes A-list actors' passports, their bank details, salaries for film appearances, their password information and also email correspondences. According to the Reddit thread, the actors who have had their data compromised included Jonah Hill, Cameron Diaz and Angelina Jolie. California-based Sony Pictures said in a statement Monday that it is continuing 'to work through issues related to what was clearly a cyber attack last week'. 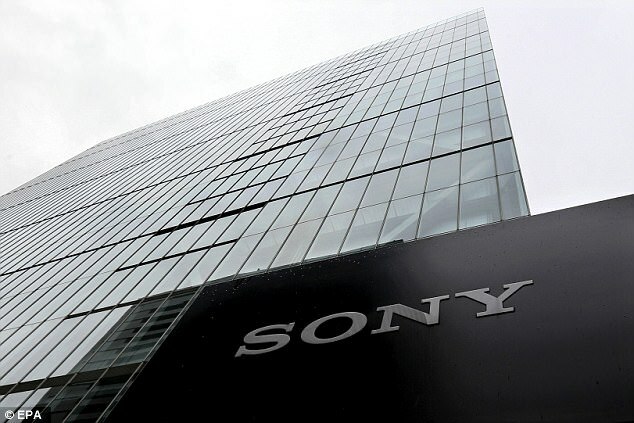 Along with the FBI, Sony has brought in forensic experts from the Mandiant division of FireEye, a Silicon Valley cybersecurity company, according to a source familiar with the case who did not want to be named because the companies have not yet announced the arrangement. Mandiant helps companies determine the extent of breaches and repair damages. The firm has worked on other high-profile computer breaches, including the one at Target last year. Monday's FBI report said that the malware overrides data on hard drives of computers which can make them inoperable and shut down networks.